I’m getting married in a little over 3 months and I’m determined to lose a bit of timber before then, so I’ve decided to try and bake healthier things. I found a recipe book in a charity shop yesterday by Harry Eastwood called Red Velvet & Chocolate Heartache which has an emphasis on using vegetables instead of butter in her cakes. This is surely healthier! 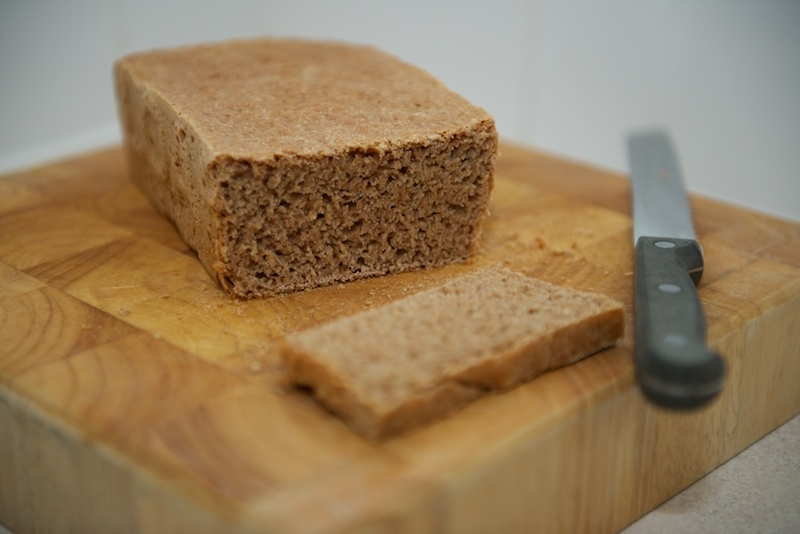 Inspired by my new book, but still craving bread, I decided to buy some spelt flour. 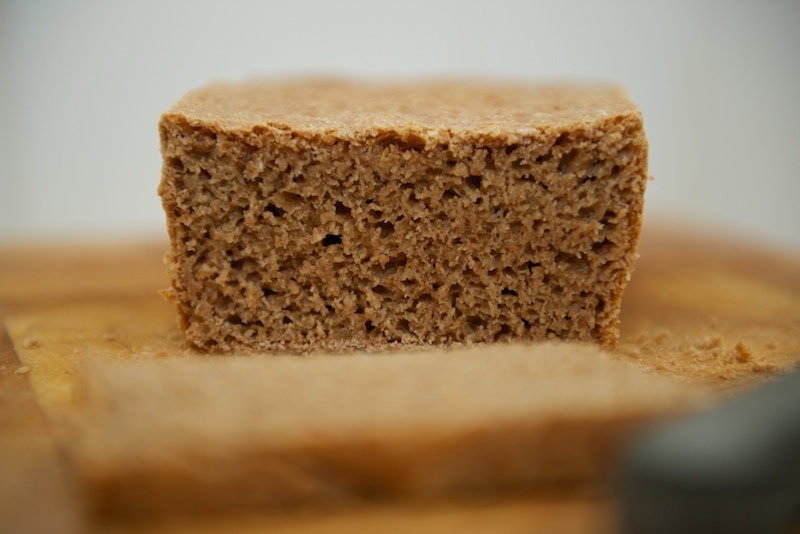 Spelt is something I’ve never used before but that’s the whole point of the Nate British Bake Off, to try out new things. The flour is wholegrain AND organic, so you know it’s good. It even somes with it’s own recipes on the bag! 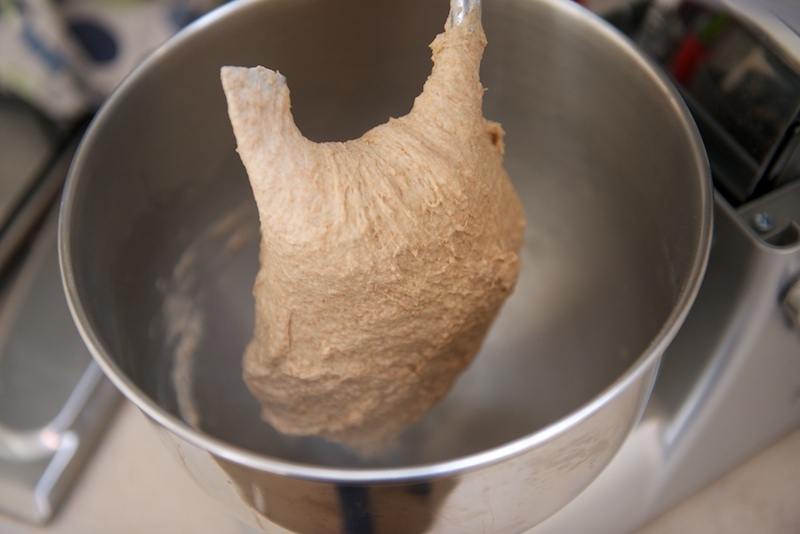 In a large bowl mix together the flour, salt and yeast. Dissolve the honey in warm water and roughly mix it into the flour. While the dough is still ‘craggy’ add the oil and mix well. I used the bread hook on my mixer to bring it all together. Pour some olive oil on a clean work surface and tip the dough onto it. 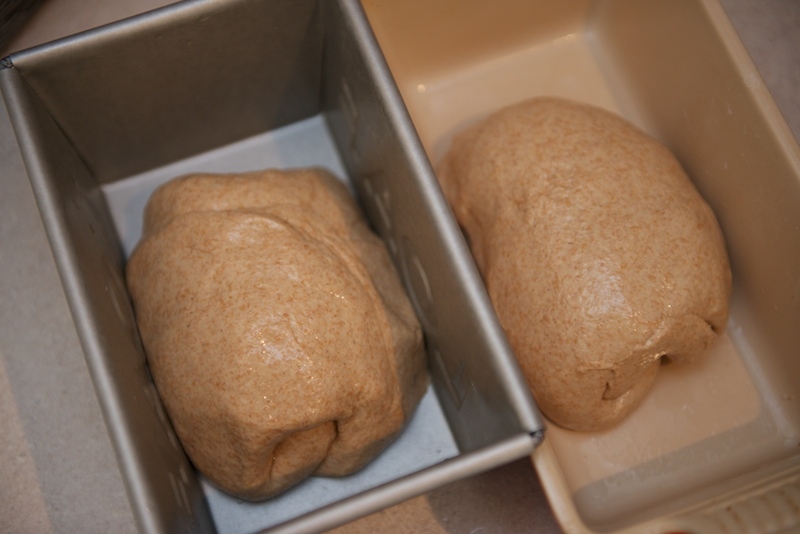 Kknead the dough for a few minutes then divide between two loaf tins. 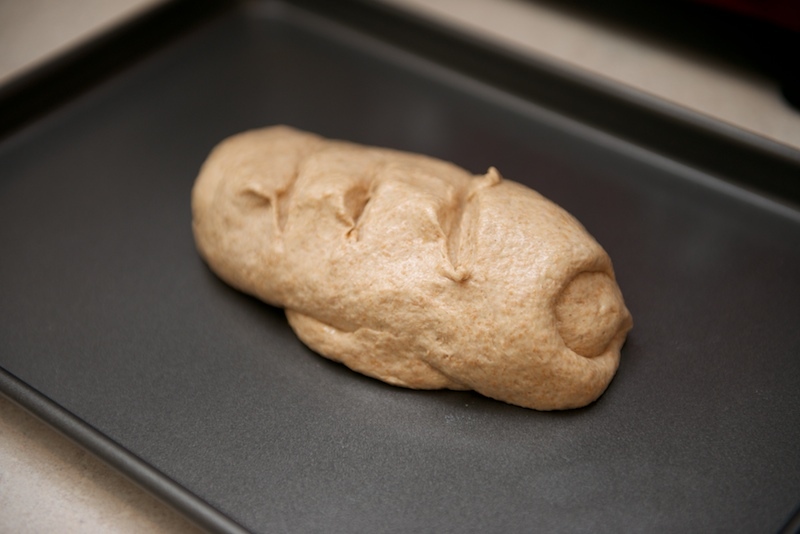 Cover and allow to rise for 45 minutes in a warm place. The recipe on the bag says to bake now, but I knocked the air out of them and gave them a second proof. 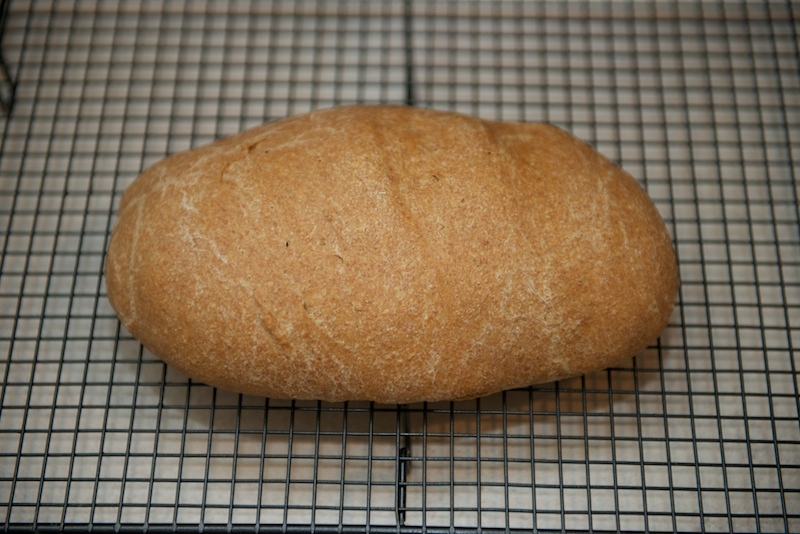 I also removed one of them from the loaf tin and decided to make a bloomer instead. Whilst they prove for a second time, preheat the oven to 200c/fan 180c. 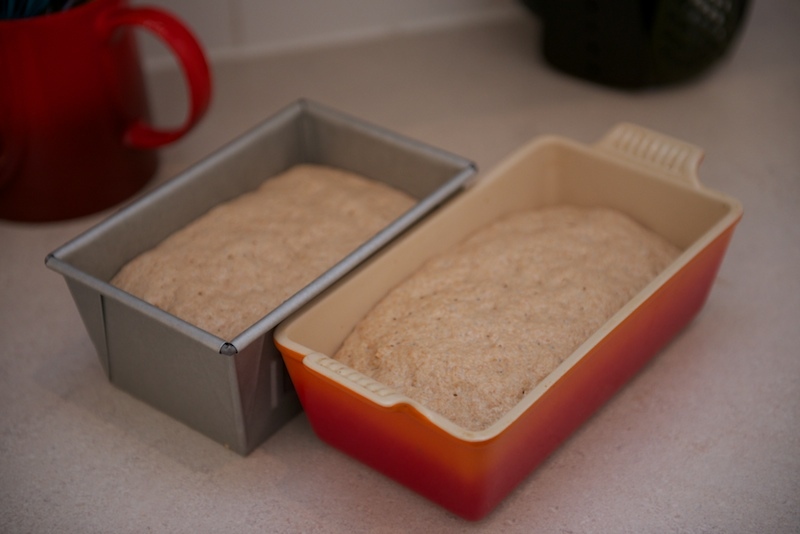 When the dough has risen for the second time, bake in the oven for about 45 minutes. 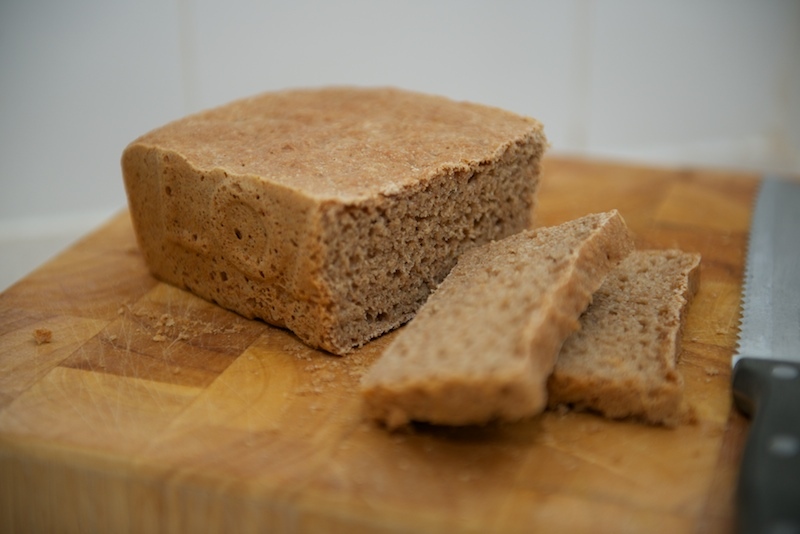 When baked, pop the loaf out of the tin and pop it on it’s side on a cooling tray. Once cooled, cut yourself a slice and enjoy. 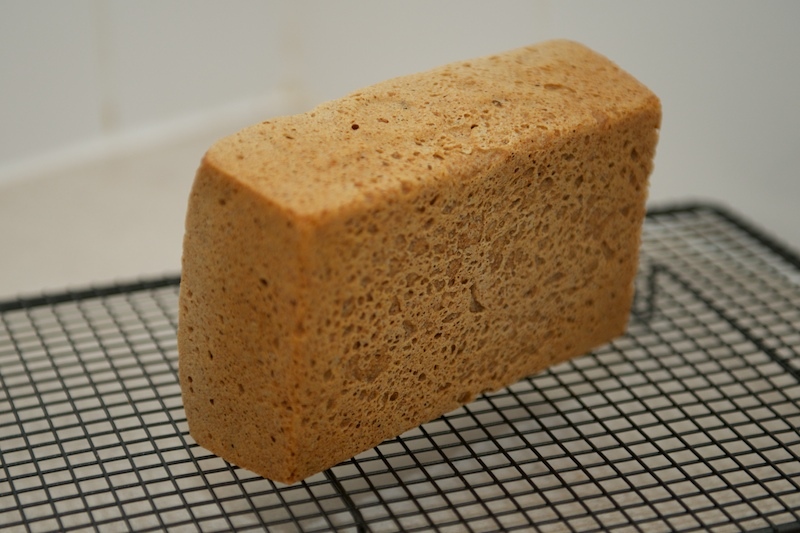 The extra water in this recipe gives the bread a crumpety crumb structure. I’m looking forward to taking sandwiches made from this bread to a job I have on today, I’ll probably have some toast for breakfast too! Overall, pretty pleased with the results.